Stone Consulting & Design, inc. Heading into 2006...It's a Rail Transit World! NOTE: Our original overview of worldwide rail transit development has been improved with additional input from readers, particularly with respect to the discussions of regional passenger rail in the USA and light rail transit in Switzerland. in early January 2006, additional material on rail transit in iran and Thailand was added. What a difference a half-century makes. Fifty years ago, the last years of the disastrous Transit Holocaust era were unfolding – especially in North America, with wholesale abandonments of electric rail transit and trolleybus systems in city after city. As the power wires were torn down and the rails ripped up, passengers left public transit in droves, eschewing the motor buses that were substituted and opting for private vehicles, encouraged to do so in accordance with officially promulgated policies at every level of government. in the USA, regional rail and intercity rail services likewise suffered officially sanctioned devastation. While the severity of the Transit Holocaust varied from nation to nation, similar policies and devastation were experienced on a worldwide scale. Fast-forward to the 21st century, and the turnaround is breathtaking. in city after city across the globe, on every continent, rail transit systems, widely regarded today as indispensable services, are now being upgraded and expanded vigorously. Nearly every large, major world metropolis is either operating or installing some form of rail transit, and more and more medium-sized and smaller cities are doing so as well – and much of this development involves electric light rail transit (LRT), undoubtedly because of advantages such as its significantly lower cost and greater versatility. it's actually somewhat amazing that a technology well over a century old would still exhibit such enduring utility, versatility, and applicability to contemporary needs. But then, you could probably say the same thing about other enduring technological innovations – say, for example, the automobile, telephone, wireless communication (radio), and electric power production. While the effort to "re-invent the (steel) wheel" seems an endless pursuit by a small army of hopeful Gadgetbahn proprietors, so far, no technology has emerged to beat the simplicity and efficiency of steel flanged wheels supported and guided by steel rails, which can be easily routed over viaducts, on urban streets, and through subway tunnels. 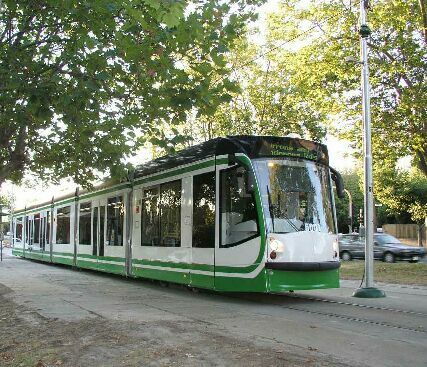 · Electric light rail tramways/streetcars are very pedestrian-friendly, safe, and reliable. A quick overview of some of the highlights of rail transit developments around the world may be helpful in comprehending the significance of modern rail transit technological options and their relevance to a city or region near you. The following summary is hardly comprehensive, but includes a few of the more exciting developments in what's looking more and more like a global "rail revolution". Since the revival of interest in rail transit and light rail in the 1970s, literally dozens of US cities have been added to the list served by rail transit. Rail rapid transit: Over the last several decades, America has seen a truly remarkable comeback in urban rail transit, once considered a moribund victim of the private motor vehicle transportation system. in addition to the venerable rapid rail systems in New York City, Boston, Philadelphia, and Chicago, and the 1950s-era legacy system in Cleveland, totally new rail systems have been added – first, the Port Authority Transit Corporation, or PATCO, Highspeed line linking Philadelphia and its New Jersey suburbs; then the much larger Bay Area Rapid Transit (BART) in the San Francisco-Bay Area (BART). Then came more new systems in Atlanta, Washington, Baltimore, and Miami. All these new systems have been consistently gaining ridership and chalking up enormous benefits – for example, commercial development around Washington's MetroRail stations yields additional tax revenues significantly in excess of the cost of the rail system. Light rail transit: The development of electric LRT constitutes the biggest success story of all, with nearly two dozen systems (including both interurban-type LRT and streetcar systems) being installed since 1981. These include systems in San Diego (1981), Buffalo (1985), Portland (interurban-type LRT, 1986), Sacramento (1987), San Jose (1987), Los Angeles (1990), Baltimore (1992), St. Louis (1993), Memphis (streetcar, 1993), Denver (1994), Dallas (1996), Salt Lake City (1999), Kenosha (Wisconsin, 2000), Hudson-Bergen (New Jersey, 2000), Portland (streetcar, 2001), Tampa (streetcar, 2002), Tacoma (streetcar, 2003), and, most recently (2004), Houston, Little Rock (streetcar), and Minneapolis. in addition, three more new systems – in Seattle, Phoenix, and Charlotte – are currently under construction, and the overwhelming majority of all the new systems have been undergoing expansion. Legacy (historically rooted) LRT systems have continued to undergo upgrading and expansion in New Orleans, San Francisco, Boston, Philadelphia, Cleveland, Pittsburgh, and Newark. Other totally new systems are being seriously planned – interurban-type LRT in cities such as Norfolk and Spokane, and streetcar systems in Birmingham, Miami, Bayonne, Seattle, Atlanta, and San Diego. indeed, streetcars seem to be making an astounding comeback in the USA; besides the areas just mentioned, new systems are being evaluated for cities as diverse as Los Angeles and its suburb Glendale, Tucson, Salt Lake City, Omaha, Cincinnati, Toledo, Huntington (WV), Richmond, Montgomery (Al), and Charlottesville (Va). Regional passenger rail: Usually termed "commuter rail", this mode (which uses "heavy" railroad rolling stock, compliant in the USA with requirements of the Federal Railroad Administration) has demonstrated success as a relatively low-cost means of utilizing railway corridors and infrastructure to reach out to suburban, exurban, and rural regional markets with attractive, comfortable, and very cost-effective transit service. in addition to well-known legacy systems such as those in New York City, New Jersey (a statewide system which serves important smaller cities such as Newark, Hoboken, and Trenton), Boston, Philadelphia (also connecting to Camden and Trenton, NJ), and Chicago, a number of relatively new systems have been started over the past several decades. These include at least a couple – the systems serving Washington, DC area (MARC and Virginia Railway Express) and San Francisco-Bay Area (Caltrain) – which in one sense are "new" systems but in another sense can be considered major consolidations and upgrades of previous legacy RPR operations. in addition to these legacy and semi-legacy systems, there are a number of wholly new RPR systems. These include those in Los Angeles (Metrolink), San Diego (Coaster), Miami-Southeast Florida (Tri-Rail), Dallas-Ft. Worth (Trinity Railway Express), San Jose-Stockton (Altamont Commuter Express), and Seattle-Tacoma (Sounder). And more RPR systems are coming. Both Nashville and Albuquerque are poised to open new RPR systems, while plans are on the drawing boards in such cities as Raleigh, Denver, Salt Lake City, Portland, Kansas City, Houston, and Fayetteville (Ar). Fuel-powered light railway: Rail transit services using self-propelled light railway cars – similar to electric light rail vehicles, but powered by internal combustion engines rather than external electric power lines – are beginning to see deployment. 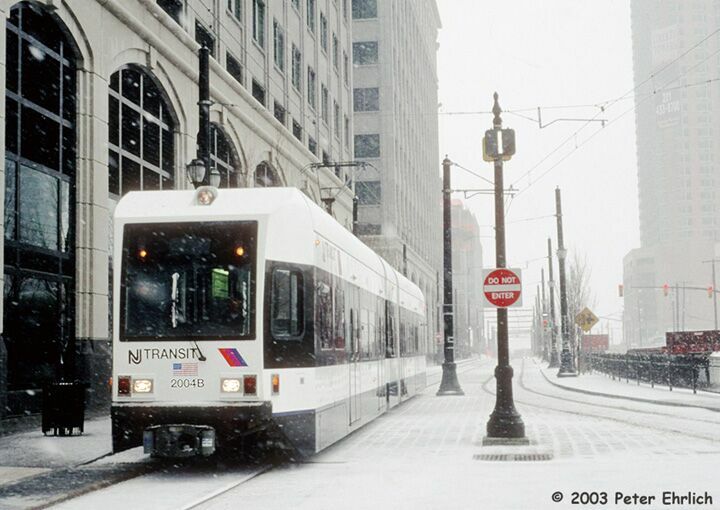 New Jersey Transit's RiverLine light railway, connecting Camden and Trenton, has provided a model for other ventures in this direction. San Diego's North County Transit District has a 22-mile route (called the Sprinter) under construction, and Austin, Texas has launched its own 32-mile light railway project. Harrisburg (Pa) is planning a similar fuel-powered light railway; others are under consideration in Madison (Wi) and Spokane. Despite hostility to public transport and rail transit from elements within and close to the Bush administration and its Congressional allies, and despite the Federal Transit Administration's active promotion of "Bus Rapid Transit" (actually, "Bus Repackaged Transit") as an alternative to rail, the outlook for US rail transit development continues to appear promising. in an information media release (Business Wire, 30 September 2005), industrial information Resources, inc. of Houston, Texas, noting that "Capital spending for construction of new light rail transportation systems across the United States has consistently increased in recent years", called attention to the "enormous opportunities these projects create for equipment and service providers, totaling billions in future spending." The company related that it "is currently tracking over 80 rail transportation projects planned to begin construction in future years, representing total investments exceeding $70 billion." San Juan inaugurated its metro, the Tren Urbano, in mid-December 2004. Plans for LRT are also under development on the island. Rail rapid transit: Major rapid transit systems today run in Canada's three largest cities: Toronto (with a semi-legacy system dating from the mid-1950s), Montreal (a 1960s-era Gadgetbahn-variety system on the Paris model running on rubber tires but with steel wheels and rails for switching and backup), and Vancouver (a somewhat gadgety light metro using standard-rail technology but with somewhat unusual linear induction motor propulsion). in Toronto, a short light metro line (Scarbrough) was installed using the same technology. Modest expansions of all three cities' systems have been ongoing; however, there has been little talk of new rail rapid transit in Canada (except for conceptual community proposals in Winnipeg). Light rail transit: it's in LRT that Canada has truly broken new ground in rail transit. Toronto's legacy LRT streetcar system is the largest in North America and, with fairly extensive, intersecting lines, a small taste of what urban streetcar networks once looked like. in 1979, Edmonton led the North American LRT revival with its predominantly subway-routed, grade-separated system. Calgary followed in 1981 with its C-Train, pioneering the use of highfloor cars operating on major streets with high-platform stations. Today, a new LRT project has been launched, designed to connect the communities of Coquitlam and Burnaby in the Vancouver region, and a heritage-type streetcar line is also under study for central Vancouver. 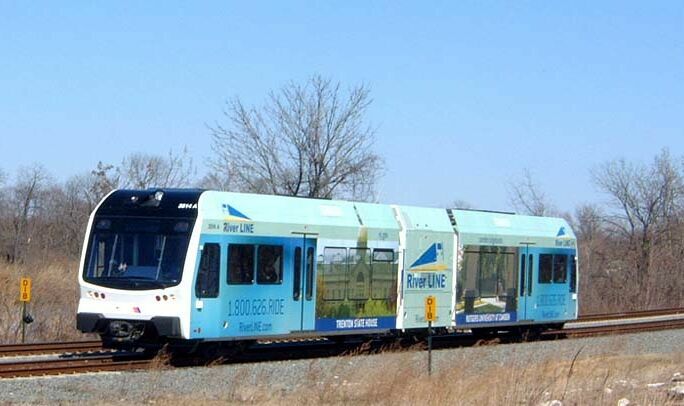 Ottawa also has launched a project to install an electric LRT system. Plans for LRT to connect the small cities of Waterloo and Kitchener in Ontario are being evaluated, and Montreal is seriously pursuing plans to install LRT, possibly on the model of the new French tramways. Regional passenger rail: Both Toronto (GO Train) and Montreal (Agence métropolitaine de transport) have operated legacy regional rail systems, and these have received gradual upgrading and expansion. Fuel-powered light railway: Ottawa's successful experiment with its small (8-km/5-mi) fuel-powered O-Train light railway has not only served as a model for other North American systems (New Jersey, San Diego, Austin), but has galvanized interest in installing a much larger, citywide, electrified LRT system. Rail rapid transit: Mexico City's metro, opened in 1969, is predominantly not a standard-rail rapid transit system, but is, like Montreal's, almost entirely modeled after Paris's rubber-tired Gadgetbahn-type technology (although Line A, launched in 1991, is a standard steel-wheel light metro). The system has been slowly expanded, now reaching 201 km (about 125 miles) in length. Rail transit pervades most of South America's major cities and urban regions: mainly metros or light metros – almost all of them steel-wheel rail rapid transit, and installed within the last few decades – plus regional passenger rail lines, and a few LRT lines, both modern and heritage (plus a smattering of small monorails and other Gadgetbahnen) . Several of the new metros have been developed as conversions of previously existing conventional railways. The following list just indicates selected highlights in some of the larger cities. Metros or light metros now operate in the major cities of Rio de Janeiro, São Paulo, Brasília, Porto Alegre, Recife, Belo Horizonte, and Salvador. Many of these are also served by RPR systems, and Rio and several other cities and towns operate heritage LRT tramways. in Fortaleza, a metro in subway is reportedly under construction. Buenos Aires is served by a legacy metro (dating originally from 1913), plus several LRT lines, including a heritage tramway. Santiago de Chile operates a metro using the French Gadgetbahn rubber-tired technology (same as in Paris, Mexico City, and Montreal). 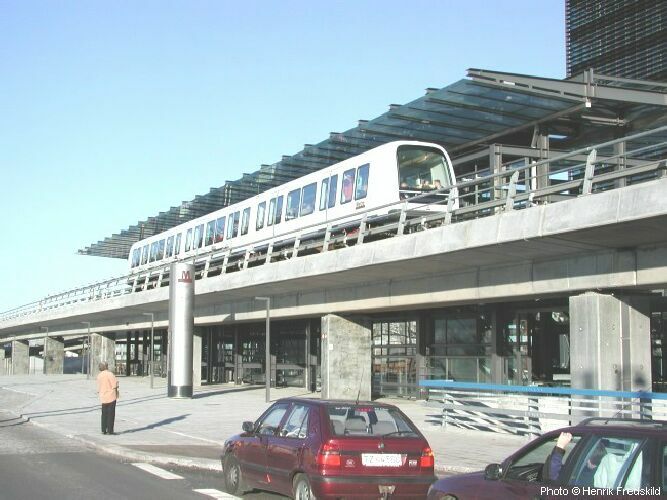 Valparaíso operates a standard-rail rapid transit system. Medellín opened its rail rapid transit metro in 1995. 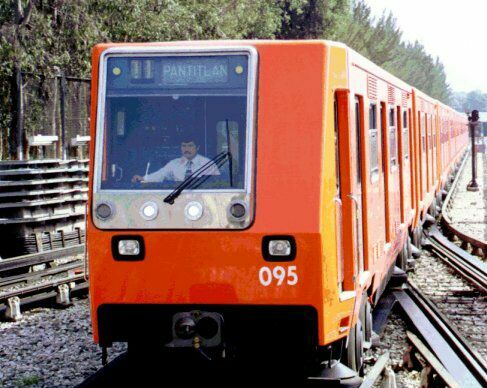 Lima operates a 9.8-km (6.1-mi) rail rapid transit metro called the Tren Urbano. Rail rapid transit is operating in Caracas, and a system is under construction for Marcaibo. in Valencia, a light metro or semi-metro (using LRT rolling stock similar to St. Louis's) is under construction. The city of Los Teques also has an LRT project under way. While a number of European cities operate metros – most of them standard-rail rapid transit systems – the real rail transit star in Europe seems to be LRT. Glen Bottoms, in a report presented to the 9th National Light Rail Transit Conference in Portland in 2003, described "a spirited amount of activity" in terms of LRT development, and pointed out that "Light rail also continues to be implemented in progressively smaller cities than previously noted…." He observed that "The trend toward the adoption of light rail transit in cities of all sizes (large, medium and small, even as low 150,000 population) in Western Europe has continued unabated since the last National Light Rail Conference" in 2000. As Bottoms further pointed out in his 2003 report, Germany "possesses the most light rail systems of any country in Western Europe (exceeded in the world only by Russia and other parts of the former Soviet Union) ...." He relates that Germany "generally avoided the massive abandonments that prevailed" elsewhere through the world, and in both the West and the East, chose to retain and, especially in the West, modernize street-based urban rail systems after World War ii." Western Germany, he recounts, "systematically converted and expanded basic streetcar [tramway] networks into model light rail systems (Stadtbahnen)." Thus, " With the exception of Hamburg, all large and most medium-sized German cities maintain robust light rail networks." As a consequence, almost all the German systems are legacy systems – Germany, Bottoms notes, has added only two new systems since World War ii: in Saarbrücken and Oberhausen. Saarbrücken basically pioneered the now-famous Tram-Train concept – operating LRT tramway-type railcars both in a tramway configuration on urban streets, and as light regional railways sharing infrastructure with"heavy" railway trains. 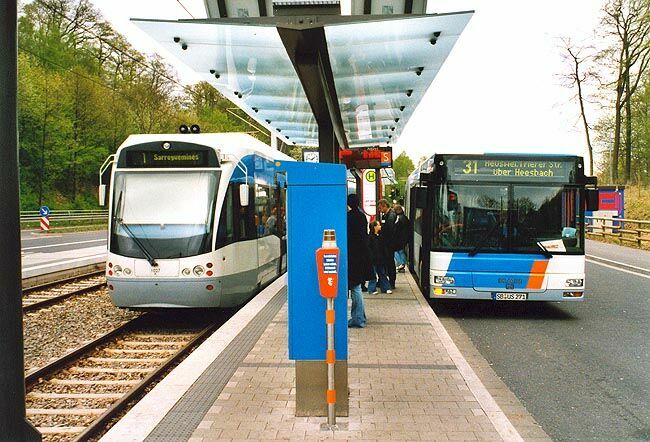 As this concept proved successful, it was applied to operations in Karlsruhe and its surrounding region, and has subsequently become a promising model for LRT operations throughout Europe and abroad. Four German cities have "heavy" rail rapid transit metros: Berlin, Hamburg, München (Munich), and Nürnberg. As Bottoms has noted, of Germany's large cities, only Hamburg does not have some form of LRT. The number of of German LRT systems is somewhat staggering. These range from mostly tramway-type systems to various interurban and light rail operations, and are listed in the table below. Like Germany, after World War 2 Austria retained modernized its predominantly street-based urban rail systems. Thus, in addition to Vienna's excellent rail rapid transit metro, and RPR systems throughout the country's urban regions, the nation has an excellent network of legacy LRT, as listed in the table below. 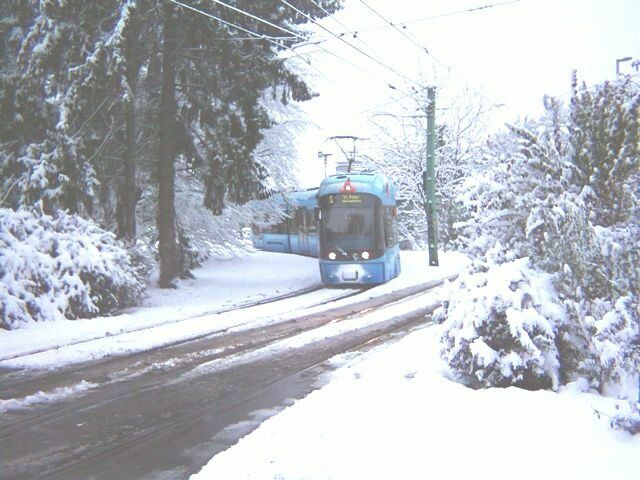 A tram in Graz, Austria bends around a curve on a snowy 5 November 2005. Graz's excellent system illustrates how LRT tramways are being well-maintained and continuously upgraded and modernized in Europe, even in smaller cities. in addition to a network of RPR and modern rail rapid transit metros in both Amsterdam and Rotterdam, the Netherlands has several legacy LRT tramways as well as new LRT lines in Amsterdam, Rotterdam, Den Haag, and Urecht. in addition, the new Rijn-Gouda LRT is the Netherlands' first venture into the tram-train concept, and it appears to be successful. Belgium likewise has a solid RPR network, a modern rail rapid transit metro in Brussels, and legacy LRT tramways which have been upgraded and expanded in Brussels, Antwerp, Charleroi, and Gent, as well as other heritage and interurban lines. Rail (and special guideway) transit is pervasive in French cities and urban regions, including metros, RPR, and, increasingly, various forms of LRT, especially tramways. Paris's legacy metro system uses both steel-wheel rail rapid transit and the French rubber-tired Gadgetbahn technology; some other cities uses the rubber-tired metro or operate light metros using the French VAL (Vehicule Automatique Leger, with small, automated rubber-tired cars) technology. France continues to undergo what Bottoms called a "light rail renaissance", despite the emergence of competing concepts such as guided-bus "BRT" technologies and, on occasion, various rubber-tired automated Gadgetbahn systems such as VAL. Somewhat like the USA, France retained a handful of legacy LRT systems in cities such as Lille (which completed a thorough modernization of its two-route system), Marseille, and St. Etienne, and a small number of regional interurban systems. These are being upgraded, and in the case of Marseille, substantially renovated and expanded. The Marseille project will use the existing legacy LRT line as the nucleus of a three-route network. But France's "renaissance" of totally new LRT development is particularly striking. These include Nantes (opened in 1985), Grenoble (1987), Paris (1992 and 1997), Strasbourg (1994), Rouen (1994), Montpellier (2000), Lyon (2000), Orlèans (2000), and Bordeaux (2004). Most of these new systems have significant extension programs under way. And more new LRT systems are on the way, with totally new systems under construction or development in such cities as Valenciennes, Nice, Mulhouse, Le Mans, Toulon, and Angers. Opening of new LRT tramway in Nantes (1985) triggered "light rail renaissance" throughout France and much of Europe. Britain has an extensive legacy network of rail transit systems – particularly RPR, and rail rapid transit metros in London and Glasgow. in addition, there is the urban legacy LRT tramway system in Blackpool. Since the 1980s, British rail transit has been expanded significantly, despite the somewhat erratic and conflicted character of British transit development policies. One of the most important new systems has been London's Docklands Light Railway, an automated light metro using basically LRT-type rolling stock. But there has been significant LRT development. These new systems include: Newcastle/Tyne (1980), Manchester (1992), Sheffield (1994), Birmingham - Wolverhampton (1998), Croydon (London suburb, 2000), and, most recently, Nottingham (2004). Currently, rail planning in Britain suffers from hostility from the central government as well as indecision. However, plans for an LRT system are being advanced in Edinburgh. Recent rejections by the central government have thrown LRT plans in Liverpool, Leeds, and Portsmouth in confusion (after decades of planning, tens of millions of pounds of investment, and approval from the national government). By far one of the most successful new LRT tramway systems in Europe has been the Luas system in Dublin, opened in 2004. Expansion is under way. in addition, Dublin has a major rail rapid transit metro project under way. The listing below, with categories suggested by Marco Gerosa, gives an idea of the pervasiveness of various types of LRT systems and light railways throughout the country. Urban: Urban tramways or light railways, with service frequency between 3 to 10 minutes (peak or off-peak hours). Suburban/interurban: Heavy-duty suburban railway, in a few cases with some segments of street running, but often on separate right-of-way with gate barriers at crossings. Headway typically varies from 10 to 30 minutes depending on line and period of day; in some cases, service resembles that of RPR, with headways between 30 to 60 minutes. Tourist/interurban: Railway used mainly by tourists, but with a significant proportion of traffic generated by local inhabitants. Tourist-Recreational: Predominantly scenic or recreational lines used only by tourists, except perhaps for a very small portion of ridership contributed by locals inhabitants of small villages (not more than 100 to 1000 inhabitants each). in addition, Switzerland has a number of purely seasonal, tourist-oriented recreational railways, such as the Blonay-Chamby line, a museum-like line open ony in summer running steam trains. Copenhagen, already renowned for its RPR system, in 2002 opened its urban automated light metro. Recently, city planners announced that an LRT system would also be installed. Copenhagen's new totally automated light metro illustrates cost-effective approach to rapid transit using railway technology. Sweden has steadily upgraded and expanded its network of RPR services and other rail transit, particularly Stockholm's rail rapid transit metro, opened in 1950. Legacy tramway systems have also been seeing development, including the ones in Gothenburg, Norrköping, and Stockholm. Norway also has upgraded its network of RPR services, as well as Oslo's rail rapid transit metro (dating from 1966). Legacy tramways in Oslo and Trondheim have also been upgraded, and planning is well under way for an LRT tramway for Bergen. in addition to the usual RPR services, Helsinki not only operates a rapid rail metro, dating from 1982, but also a well-modernized legacy LRT tramway. Together with RPR serving cities and towns throughout the country, Rome, Milan, Naples, and Catania have rail rapid transit metros, and a number of cities and regions have both urban trams and interurban LRT. Cities with LRT include Rome, Milan, Naples, Torino, and Genoa. Messina and Sassari have opened new LRT systems, and other new systems are in development in Verona, Florence, Palermo, Cagliari, and Bergamo. Spain also has a national urban and regional network of RPR, legacy rail rapid transit metros in Madrid and Barcelona, and another in Bilbao, opened in 1995. But there has also been aggressive development of LRT. Alicante is upgrading a legacy tramway to modern LRT standards. 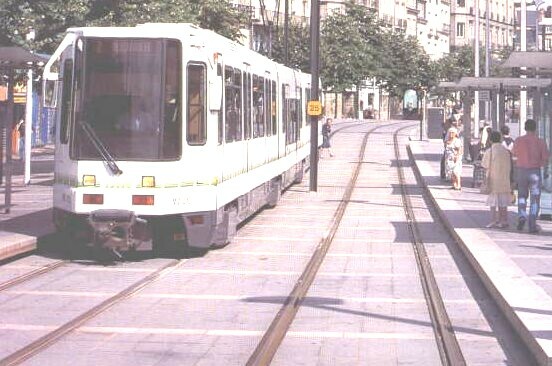 Besides a number of other legacy and heritage lines, new systems have been installed in Valencia (1988) and Bilbao (2002), and Madrid is also planning a new LRT tramway system. Like other European nations, Portugal has a good network of RPR systems, and Lisbon operates a metro dating from 1959. in addition, Lisbon has maintained a heritage LRT tramway system. Porto is upgrading its own heritage tramway system into a modern LRT system, and in the South Tagus area the Portuguese government is funding the construction of a light rail system to serve the communities located on the south bank of the Tagus river (opposite the capital city of Lisbon). in Athens, the venerable rail rapid transit metro has been thoroughly rehabilitated and modernized. 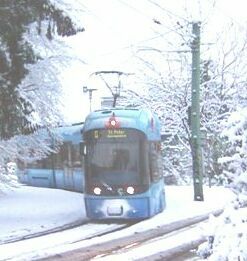 in addition, a new LRT tramway system has been installed (2004). Plans for a rail rapid transit system are now proceeding in Thessaloniki. Belgrade is served by RPR as well as a legacy LRT tramway. in addition, the city plans a new three-line LRT network. Zagreb and Osijek both have fairly large legacy LRT tramway systems. Restoration of Sarajevo's small legacy tramway after the civil war was a major milestone for the country. The system has been subsequently upgraded. Sofia installed its 5.0-km (3.0-mi) rail rapid transit metro system in 1998, and continues to modernize and upgrade its extensive legacy LRT tramway system (some 222 km). in addition to the rapid rail metro in Bucharest, a sizable number of Romanian cities and towns operate LRT tramways, both legacy systems dating from the late 19th and early 20th centuries, and more recently installed systems. The following list provides an overview of the extent of these systems. Budapest operates a modernized legacy rapid rail metro (originally dating from 1896). in addition, legacy LRT tramways – most of them upgraded and expanded – are operated in Budapest, Debrecen, Miskolc, and Szeged. These continue to be upgraded and expanded. Prague's rail rapid transit metro, dating from 1974, is modern and efficient. in addition, LRT tramways serve a number of cities and towns, including Prague, Brno, Liberec, Most, Olomouc, Ostrava, and Plzen. LRT is the urban rail transit mode of choice in Slovakia, with tramway systems in Bratislava, Kosice, and Trencianská Teplá, and interurban or suburban-type light railways serving Poprad-Strbské Pleso and Strba-Strbské Pleso. Besides RPR services, Warsaw has a metro, opened in 1995, and most of the large to medium cities and towns are served by LRT tramway systems, listed in the table below. in addition to RPR services, Talinnn is served by a legacy LRT tramway. Riga, Daugavpils, and Liepaya are all served by legacy LRT tramways as well as RPR systems. The collapse of the Soviet Union and subsequent economic and social upheavals have wreaked havoc with the public transport systems in the countries that have emerged. However, a substantial base of rail transit, including metros and urban tramways, has survived. Russia: Rapid rail metros in Moscow, St. Petersburg (formerly Leningrad), Yekaterinburg, Novosibirsk, and Nizhni Novgorod. Legacy LRT tramways in Moscow, St. Petersburg, and other cities. Ukraine: Rapid rail metros in Kyiv and Dnipropetrovsk; legacy LRT tramways in these and other cities and towns. Belarus: Rapid rail metro in Minsk; legacy LRT tramways there and in other cities and towns. Cairo is served by a rapid rail metro, opened in 1987. Both Cairo and Alexandria are served by legacy LRT tramway networks. Tunis has operated a light metro since 1985. Algiers is reportedly constructing a 12.5-km rapid rail metro. in addition, a 30-km light rail project is reportedly also being planned. Johannesburg is served by Metrorail, an intensive RPR sytem. Most of Australia's major cities operate some form of rail transit – mostly RPR. Melbourne has an extensive RPR system plus one of the world's largest LRT tramway (streetcar) networks, both undergoing vigorous improvement and expansion. Sydney's RPR system runs underground through the city center, resembling a metro. Sydney also has a small LRT line, and is apparently seriously planning expansion. Adelaide, in addition to its RPR services, has operated a largely suburban heritage tramway (the Glenelg line) which is now being upgraded and targeted for future expansion. in addition, Ballarat and Bendigo operate heritage tramways in public service. Melbourne's LRT tramway system is one of the world's largest. Auckland and Wellington both have good RPR systems, and both cities are evaluating the possible introduction of LRT. As an Asian city, Turkey is seeing particularly vigorous rail transit development – and almost all of it some form of LRT. Ankara has both a rail rapid transit metro and an LRT system, while istanbul, izmir, Konya, Bursa, and, most recently, Eskisehir have all installed LRT systems within the last two decades. The city of Adana has a light metro project under way. Tehran opened the original 31.5 km/19.5 miles of its suburban metro line in 1999. This has subsequently been extended by 9.0 km/5.6 miles, and more than 23 km/14 miles of urban metro line have been added. A vigorous program of additional extensions and new lines is under way. Dubai has become the first city on the Arabian peninsula to launch a rail rapid transit project – in this case, a light metro. Abu Dhabi is also evaluating a rail transit project. New LRT projects are under way in borth Tel Aviv and Jerusalem. Calcutta operates both a rail rapid transit metro and a legacy tramway system, for which major upgrading and expansion is under consideration. Delhi opened its first rapid rail metro in 2002. These systems are in addition to the major RPR operations which serve travellers in several indian cities. A number of other indian cities are considering both rail rapid transit metros and LRT. China has a dense system of intercity railway services and regional and urban rail transit. Beijing, Guangzhou, Shanghai, Hong Kong, and Tianjin are all served by rapid rail metros. Various cities are moving to install light metros and LRT, including tramways. Dalian, Changchun, and Hong Kong operate legacy tramway systems (a heritage-style system, in the case of Hong Kong); the legacy tramway in Anshan is reportedly undergoing rehabilitation and modernization. Japan is another country interlaced with a dense network of intercity railways and urban and regional rail transit systems. in addition to RPR, a number of Japanese cities and regions have long been operating legacy metros and LRT tramway and interurban systems; now Japan may be awakening to the "light rail revolution" that has flourished in Europe and North America. it is already playing a key role in the regeneration of urban areas in the United States and Europe. And now Light Rail Transit (LRT) is showing signs of revival in [Japan], with a new route opening next spring for the first time in more than half a century. Hattori describes a new route opening in Toyama, and notes additional projects "in the pipeline"; for example, "Utsunomiya plans to introduce a streetcar system in five years and Tokyo's ikebukuro area is also enthusiastic about the technology." Rail transit in Japan's larger cities includes rapid rail metros in Tokyo, Osaka, Fukuoka, Kobe, Kyoto, Nagoya, Sendai, and Yokohama; and a variety of tramways and light railways. Most of these are included in the list below. There are also special guideway transit systems in several Japanese cities. These include a specially designed Gadgetbahn rubber-tired metro in Sapporo, and relatively short monorail lines in several other cities, including Tokyo. Rapid rail metros are operating in Seoul, Pusan, and Taegu. Pyongyang operates a rapid rail metro (installed in 1973) and several LRT tramways. Hanoi has begun a project to install several LRT tramway lines and is planning an elevated metro or light metro. Ho Chi Minh City (formerly Saigon) seems to have a taste for experimenting with special guideway Gadgetbahnen; apparently projects there include a monorail and an installation of the proprietary Translohr guided busway. This island city-state has relentlessly installed rail rapid transit and an array of supplementary Gadgetbahn guideway systems. Kuala Lumpur has installed several light metro lines, interfacing with its RPR systems, as well as a small connector monorail. Bangkok currently operates two separate metro-type systems. The Green Line, an automated, elevated 20-km/12-mile light metro, first opened in 1999. it is a standard-rail system using linear induction motor (LiM) propulsion similar to that of Vancouver's Skytrain. The Blue Line, opened in 2004, is a fully underground "heavy" metro 21 km (13 miles) in length. Planning and projects for additional extensions and systems – including an Airport Link line – are under way. 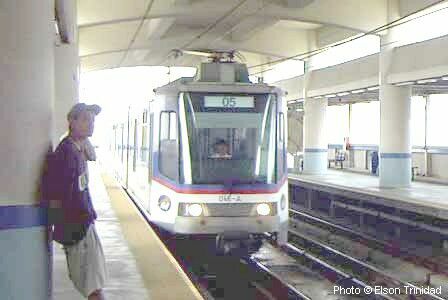 Since 1984, Manila has operated a light metro using LRT technology. LRT is also in planning for the city of Cebu. Manila LRT light metro train rolls into station. This report has relied upon and adapted material and information from several sources in its preparation. These include: John DeWitt, tabulation of US LRT openings and expansion, Minneapolis, 2004/10/19; Glen D. Bottoms, "Continuing Developments in Light Rail Transit in Western Europe", Transportation Research Circular E-C058: 9th National Light Rail Transit Conference, 2003; Leroy Demery, tabulation of Asian rail transit developments, Vallejo, Ca, 2005/11/22; Mike Taplin, World Systems List, LRTA website (http://www.lrta.org); UrbanRail.Net website; Subways.net website.